St. Louis web marketing, web design and web development company offers revamped suite of search engine marketing services to better assist customers in the future. As Google, Bing and Yahoo’s search engine algorithms give growing priority to dynamic content and website user experience, St. Louis web marketing company The Net Impact is responding with a new suite of search engine marketing (SEM) services. The web marketing team now offers ten service groupings which include Pay Per Click (PPC), search engine optimization (SEO), advanced reporting and analytics, social media, training, copywriting, email, mobile and video marketing services. A lot of web marketing companies offer these services, but not in the same way. Customers seem to like the idea that one company can offer integrated, sophisticated web marketing and custom web development services all in one place. 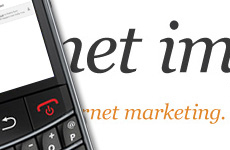 To learn more view and archive of The Net Impact’s web marketing and web development case studies. The Net Impact, a web marketing, web development and design firm, is a division of Unidev®. Since 1997, The Net Impact has been a web development leader empowering clients with highly creative search engine friendly websites. Professional services encompass search engine and Internet marketing solutions, Internet strategy development, training and seminars and web design. For more information on The Net Impact, please visit http://www.thenetimpact.com, or call (636) 458-7772. Unified Development, Inc. (Unidev) is a diversified IT company focused on the application of technology to business. Founded in 1990, Unidev has a long history of successfully meeting the customers’ needs with proven, reliable and cost-effective solutions. With offices in both St. Louis and Las Vegas, Unidev provides productivity applications, custom software development and technology consulting services to both business and government. For more information on Unidev, please visit http://www.unidev.com, or call (636) 458-7772.